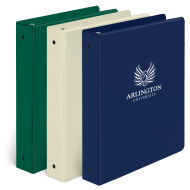 Personalized 3-ring binders are ideal to organize your financial documents and informational materials. 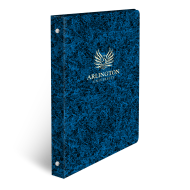 Our binders are available in a wide variety of ring sizes, finishes and imprint methods. Binders are one of the most versatile organizational tools in any office. 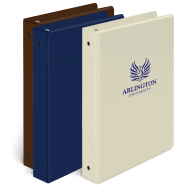 Perfect for transporting or storing big quantities of financial documents and paperwork, 3-ring personalized binders are incredibly easy to use. A great way to store documents that you refer back to regularly, customized binders are also easily repurposed for other projects once the information inside is outdated or no longer relevant. 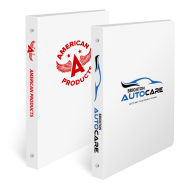 Find the perfect custom binder for your firm and order today!